Our Mixed Shares include a variety of all types of cuts for folks who are ready to try new recipes and learn to use many different parts of the cow. These shares include: ground beef, high-end stakes (tenderloin, rib steaks, strips), sirloin steaks, roasts (chucks, brisket, short ribs), bones for broth, stew meat (roast meat that is pre-cubed). Yum! This is a 15 lb box of roasts, including: 1 chuck roast (2-4 lbs), 1 brisket (2-4 lbs), shanks (3-5 lbs), short ribs (2-4 lbs), and 2 packages of stew meat (1 lb each). This is 10-15% off of our retailer prices. This share is for steak lovers and grill masters. You will receive tenderloin (2-3 lbs), rib steaks (3-4 lbs), sirloin steaks (4-6 lbs), and either flap, skirt, hanger or flank steaks (4 lbs). This is 10-15% off of our retailer steak prices! Our Rotokawa Devon cattle are 100% grass-fed, using adaptive mob-grazing practices that mimic their natural grazing and migration patterns - moving 1 to 8 times a day at 25,000 - 500,000 pounds per acre across the land May through December. The speed, rhythm, and intensity of moves are dictated by daily weather and seasonal climate, plant growth stage and productivity, the herd’s nutritional and medicinal needs, and our personal time availability. 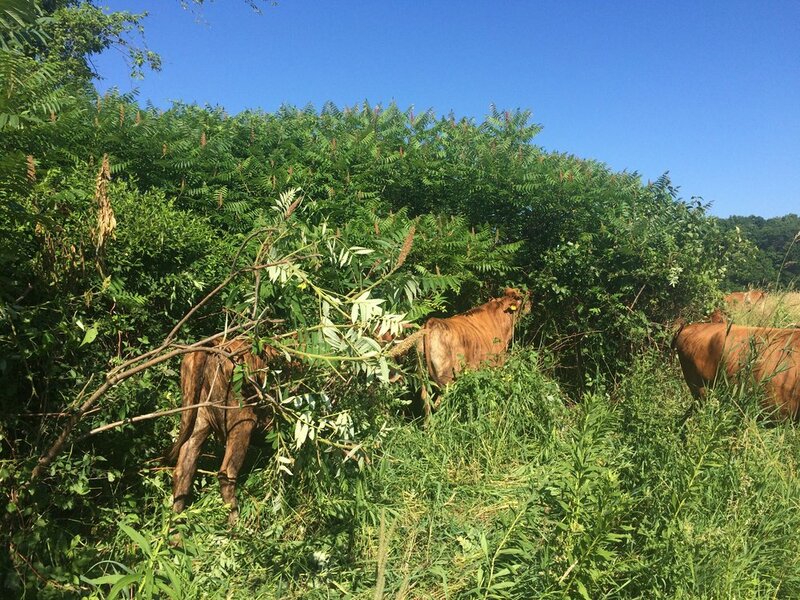 Calves are born on pasture in June through July to align peak nutritional needs of the lactating mama cows with the nutritional flush of summer pasture growth. Similarly, breeding season occurs in September through October at the annual peak of herd fertility. During deep winter and mud seasons, our cattle are fed organic hay from local farms, and live in a woodchip bedded pack system that allows us to make excellent fungi-rich compost from their winter manure. 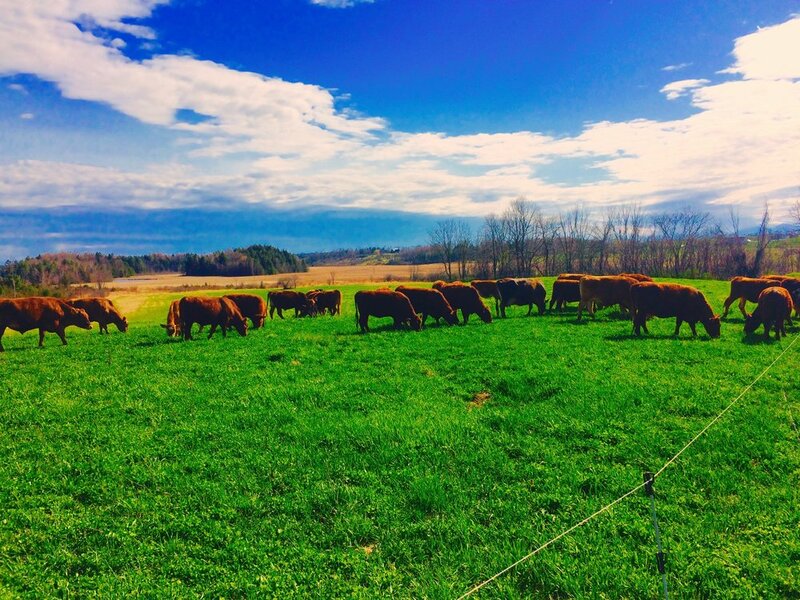 We work with Vermont processors and strive to again be able to slaughter our animals right here on the farm where they live.